Last Call~ Critique Corner! I’ll be accepting MG submissions until 7/31/15. For details go here. Happy Wednesday! 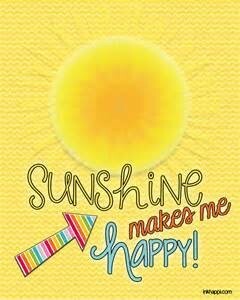 Hope you’re having a fantastic week full of sunshine. I can think of many more, but I’ll leave it at that for now. But one thing made me especially happy yesterday. It has been imcreasingly difficult to shuttle around my daughter, my son, and myself when my husband is away traveling for work. More times than not all three of us need to be somewhere at the same time. I’ve known a third car would be helpful, but still. I’m not going to hand a car over to my teenage daughter. Much to her dismay. But then we found out that with my husband’s new job, a paid company car comes with the deal. Say what??!! So now, it makes no sense to keep my husbands truck , the huge one meant for carrying golf clubs. I don’t drive it, my daughter doesn’t drive it, and the payment is sky high. So we decided to do what any sensible family would do… we traded it in for a small car. A car for my daughter to use until she leaves for college next year, and for my son to use when he gets his license around the same time. And even though I don’t like the thought of handing over a car to a teenager, I have to admit, it made me crazy happy to see the smile on my daughter’s face when she saw the car for the first time. My husband insisted to her that this is a family car. But I couldn’t help but pass her a knowing look that told her yes, this is a family car… but for the next year, you will be the only one driving it. So yes, this is your car! I guess I am a little soft when it comes to my kids. But hey, I still decide when and where she drives it, and she will have to fill it with gas. But still, she has a car to drive, and for that she is supremely gratefully and happy! This event treminded me of just how good it feels to make someone happy. The feeling that bubbles up from the tips of your toes to the tip of your nose. The feeling that makes you unable to contain your own joy. Especially when it concerns the people you care about the most. So even though the things on my list do make my day, making someone else’s day feels even better. And that’s somehting to remember when writing. We all have a character who wants something. Thata’s the very thing that’s evident throughout your whole story. But what about when they finally get what they’ve been wanting for so long—the very thing that matters most to them? Are you writing a scene that conveys the joy they feel? Are you writing them their proper payoff? Can the reader feel their happiness? Their joy? I hope so. Your character deserves it!